Which Broadway Musical Illustrates Your Writing Process? I’m having a Saturday writing morning that’s deep into Crazy Lady Writer Head, thanks to too many exciting things to to work on at once. Plus my work-in-progress new novel, I have a novel to edit, a play to finish, a poetry manuscript to edit, and a memoir to edit. I feel like the bride above, who almost wants to call it off when it comes down to really doing the thing. 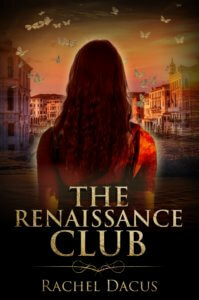 It’s been a wild ride in my writing world since early February, when I had two offers to publish my debut novel The Renaissance Club, an expression of strong interest (with request for changes) for my next poetry collection, Arabesque, and even interest from a publisher in reviewing my memoir, Rocket Lessons. The thing is, I promised a lot to many, and now I’m facing the Saturday morning page like a sweaty-nervous bride. See the above video for a glimpse of my writing process today. I think we all should talk about our writing processes not in the usual bland narrative terms, but as illustrated by Broadway musicals. Writing is all about the qualities of the Broadway musical: brightness, energy, force, and action. And an insane belief that inspiration — like love — will always win. If you had to pick a Broadway number to illustrate your writing head today, which one would it be?